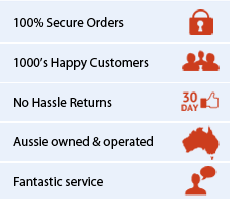 Braun is a leading global expert in home health diagnostics, a trusted name instantly recognised by the vast majority of Australian households. 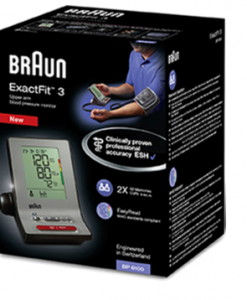 Braun blood pressure monitors (BPM’s) allow convenient blood pressure (BP) monitoring from the comfort of home. They are clinically accurate, exceptionally comfortable and boast unique features to make at-home monitoring effortless. 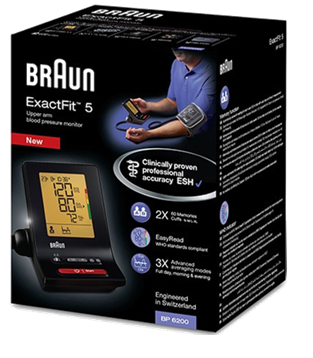 The Braun ExactFit™ 5 BPM 6200 is packaged in a cardboard box.